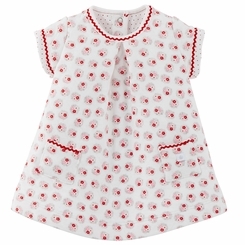 A cut, box pleated front to this lovely floral print Petit Bateau little dress. Soft tube knit and patch pockets trimmed in rick-rack braid. 86% Cotton, 14% Polyester.